December 26, 2015: Man arrested after setting fire in offices of the Southside Cultural Center in Providence, Rhode Island prior to a performance. December 16, 2015: Students in Pembroke Dock, Wales evacuated during school Christmas party after stage lighting electrical panel catches fire. December 14, 2015: Atlanta Lyric Theatre damaged following fire in neighboring tattoo parlor. 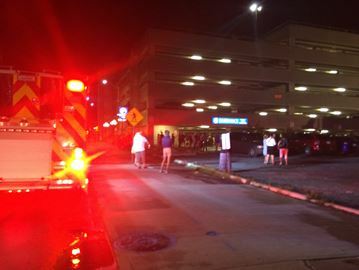 Auditioning actors evacuated from Atlanta Lyric Theatre during fire. December 13, 2015: Christmas decoration burns on exterior of Van Andel Arena in Grand Rapids, Michigan. December 4, 2015: Concertgoer spots backstage fire, alerts stagehand during performance in Emerson Suites at Ithaca College in Ithaca, NY. 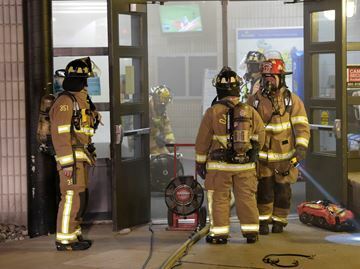 November 30, 2015: Arson fire at Monrovia High School damages soft goods, seating in school’s performing arts center. November 13, 2015: Stage light ignites curtain in Stratford Academy Middle School in Stratford, Connecticut. No injuries, but curtains may not have been flame-treated. October 30, 2015: 62 killed and over 100 injured when stage pyro started a fire in Bucharest’s Colectiv nightclub. The pyro was illegally used and the venue had fewer EXITS than were required by law. October 19, 2015: Stage light ignites curtain in Sheridan College theatre space in Oakville, Ontario. No injuries. 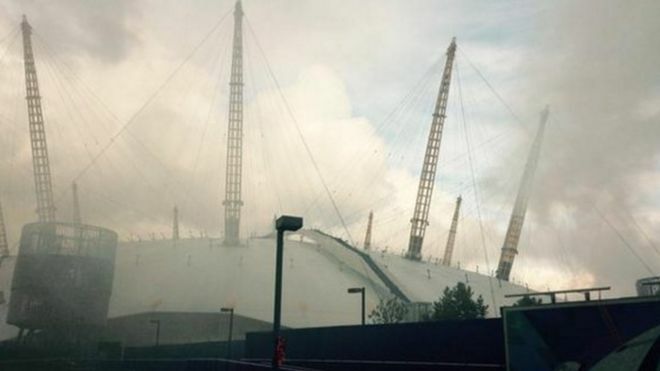 October 18, 2015: Restaurant fire smoke forces evacuation of London’s O2 Arena. October 17, 2015: Dodge City Dinner Theatre destroyed by fire that tore through most of the Old West theme park in Canton, Texas. September 15, 2015: Minor damage to Australian Institute of Sport Arena in Bruce, Australia when transformer catches fire. August 31, 2015: Fire in basement of Dublin’s Gaiety Theatre. August 28, 2015: Arson fire causes extensive damage to Lambert Theatre, a renowned puppet theatre in Ireland. August 26, 2015: Offices of Chicago’s famed The Second City destroyed, theatre equipment damaged, as a result of a fire in neighboring restaurant. Three injured: 2 firefighters & one civilian. August 19, 2015: Cousins Restaurant (a dinner theatre) in Tignish, Quebec burns, leaving performing company without a venue. August 18, 2015: Performance evacuated and later canceled after electrical fire on roof of the Grand Theatre in Kingston, Ontario. July 31, 2015: Stage Manager Peyton Trueblood killed in pyro explosion in Canyon, Texas while doing her preshow checks for the production of TEXAS. July 26, 2015: 120 year-old Empire Theatre in Essex, UK burns in arson fire. July 18, 2015: North Peace Arena in Fort St John, B.C. damaged in afternoon fire. July 8, 2015: Electrical fire damages historic St. James Theatre in Auckland, NZ. June 27, 2015: 516 injured, 8 critically, when flammable colored power blown into a concert audience from the stage ignited during a show at a Taiwan water park. Caution: video may be disturbing. June 15, 2015: Van fire in loading dock fills SIU Arena in Carbondale, Illinois with smoke. June 13, 2015: Klein Libertas Theatre in Stellenbosch, South Africa, in operation for 50 years, gutted by morning fire. 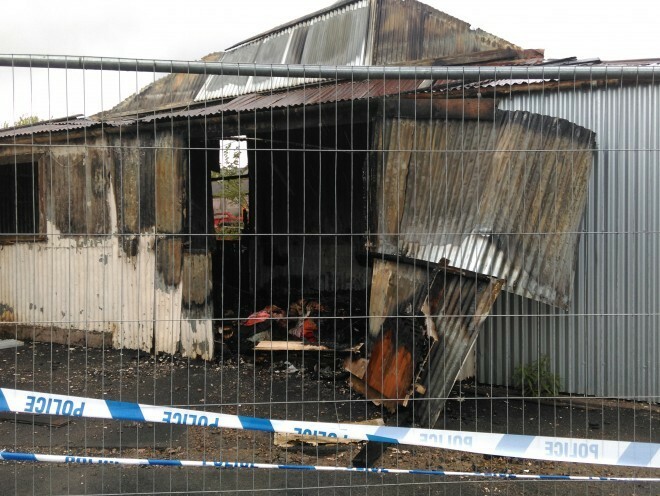 May 9, 2015: Fire destroys Dingwall Players headquarters in Dingwall, Scotland, including all stored props and costumes. March 19, 2015: Electrical baseboard heater ignites stored seat cushions in Branson’s Yakov Smirnoff Theatre. Preshow audience evacuated. March 13, 2015: Battersea Arts Centre loses largest venues in immense fire. 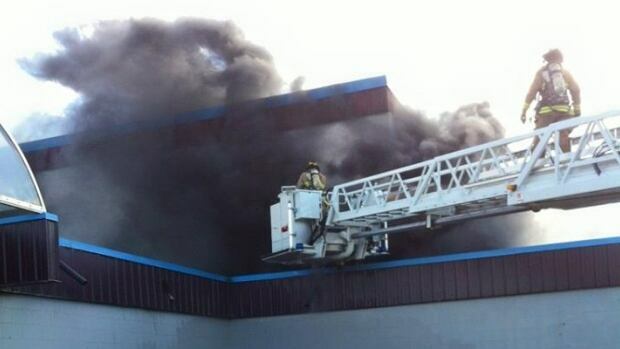 February 9, 2015: Sydney, Australia area Centre Stage Dance Studio destroyed in ovenight fire. February 6, 2015: Arson at Noble Horse Theatre in Chicago causes $130,000 in damage. FBI involved in investigation. January 16, 2015: Fire destroys La Petite Boite Noire in Sherbrooke, Quebec. No injuries, but hundreds of firefighters were needed to fight the blaze, and 7 apartments above the venue were destroyed. 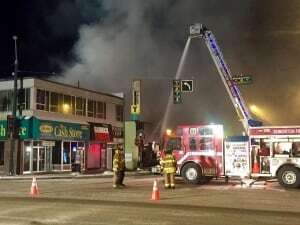 January 13, 2015: Edmonton’s historic Roxy Theatre destroyed by fire. 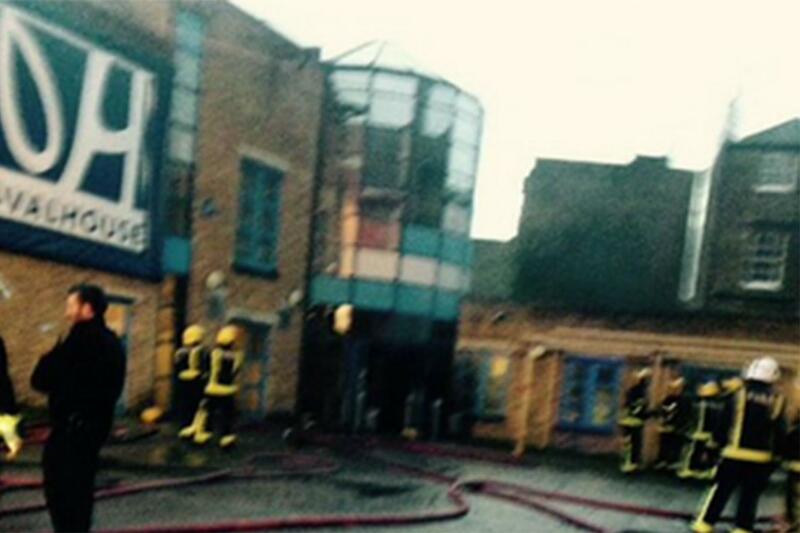 January 9, 2015: Ovalhouse Theatre in London damaged by fire in box office. Morning cleaners noticed and contacted fire service. No indication alarm was activated. January 3, 2015: 1200 evacuated from Queens Theatre in London during performance of Les Miserables due to electrical fire in basement. And that was just this year!